Convention season is upon us and Showmasters and their crew delivered a fine event at the Titanic Exhibition Centre on the weekend of the 14th and 15th of May with plenty of stalls, exhibits, cosplayers and cult celebs to keep the discerning nerd happy. 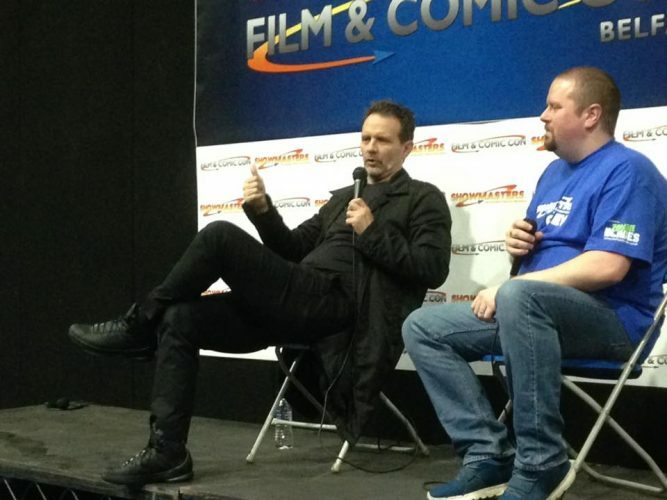 Here’s five things we learned from the first of this years Belfast Film and Comic Con’s. 1) Peter Jackson is a huge Doctor Who fan. 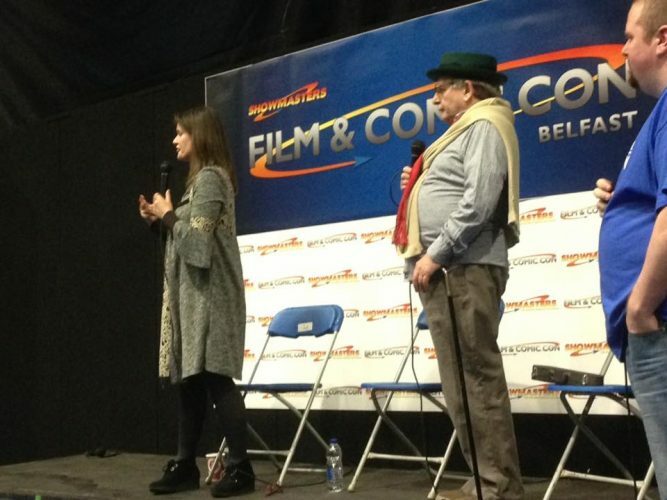 Speaking to the adoring collective of Whovians on Saturday, Sylvester McCoy aka The 7th Doctor revealed that Peter Jackson revealed to the cast at the wrap party of The Hobbit that he was a massive fan of the Time Lord. 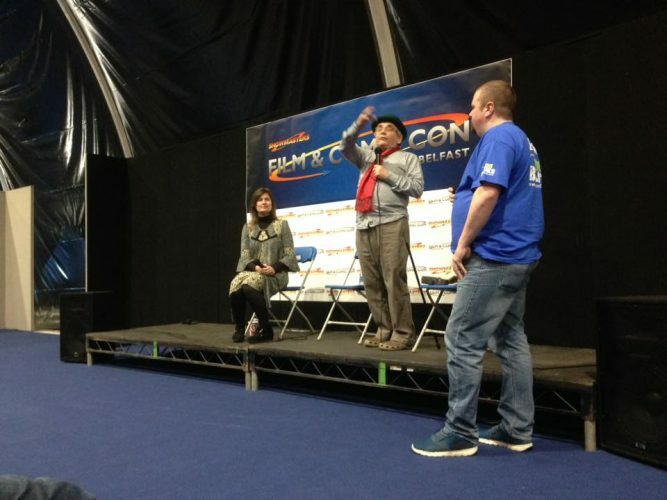 McCoy, who played Radagrast the Brown, said that Jackson never mentioned it to him whilst working on the film in New Zealand. In fact the LOTR director even has the costume of the 7th Doctor amongst a vast array of film and TV memorabilia including one of James Bond’s cars! 2) ….and Ace still has “that” jacket. 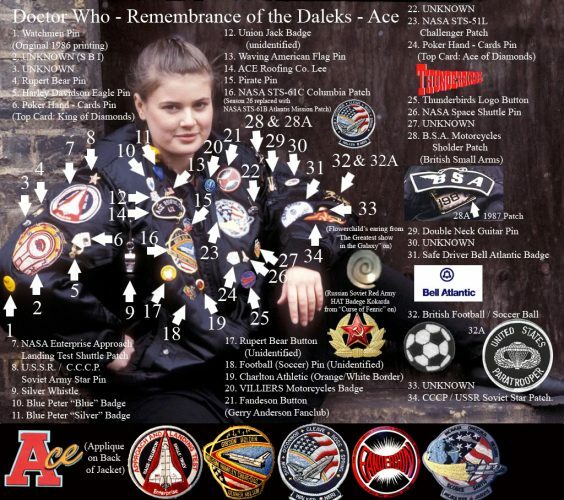 Actress Sophie Aldred revealed that whilst filming Dr Who in the late 80’s the BBC props department allowed the cast to keep items of their wardrobe for promotional appearances. After the show was cancelled in 1989 Aldred simply kept the famous leather jacket. Over time she lost some of the badges which keen eyed cosplayers have noted when attending conventions. 3) Michael Biehn wasn’t a fan of Alien 3. Whilst attending a screening in LA a trailer for Alien 3 preceded the feature which he stood up and shouted “BOOOOOO!! !” Beihn, who starred in the previous movie Aliens, was disappointed to learn that he was written out of the next chapter. So much so that he pushed to get paid just as much for his image to be used in a few seconds of Alien 3 as he did for Aliens. 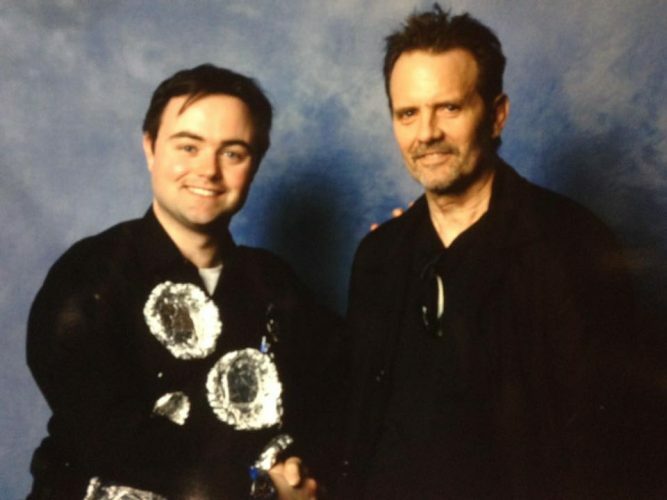 Biehn, who also starred in three other James Cameron pictures, Terminator’s 1 and 2 and The Abyss, was quick to defend Cameron’s rigorous work ethic on set claiming that he was a passionate man who was passionate about making movies and that if people had a problem with his style of direction they could tell him to go f**k himself! He also mentioned that he could have been in Avatar but it didn’t work out because audiences could have associated himself and Sigourney Weaver too much with Aliens. The rumour mill about his possible resurrection in a future Neil Blokamp directed reboot of Alien 3 were also thrown out there but due to Ridley Scott’s Alien projects these have been put on hold. 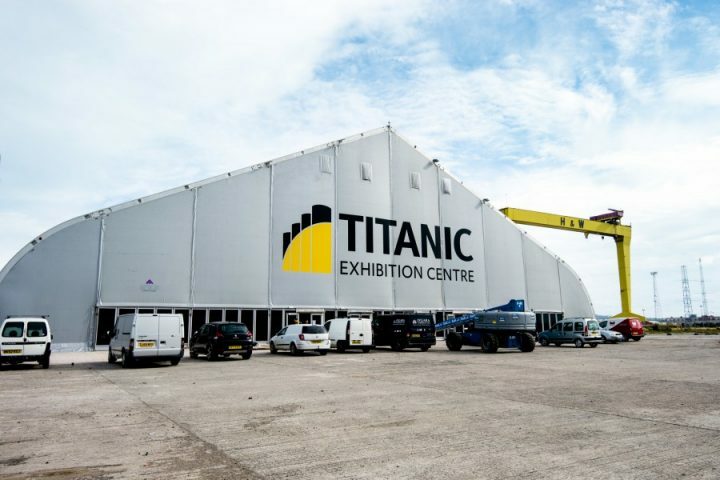 Showmasters moved the BFCC from the SSE Odyssey Arena to the larger, roomier Titanic Exhibition Centre right in the shadow the Titanic Studios where Game of Thrones is filmed. The extra room was a welcome sight for Belfast convention going folk as the stall space on the floor of the Ice Rink Arena was a little tight back in September. One drawback was the lack of cash machines at the venue which meant that impulse purchases at the merch stands had to be deferred from time to time. But overall the stark surroundings of the H&W shipyards coupled with the great weather made for great photo shoots. With more and more conventions coming to the area in the past few years the cosplay community has grown from strength to strength and this was very evident at BFCC. In fact you only have to look at the amount of Facebook pages created by local cosplayers; they are like mini celebrities these days with many signing prints at their own tables and even giving their own talks . Check out our review of some of the best cosplay creations here.